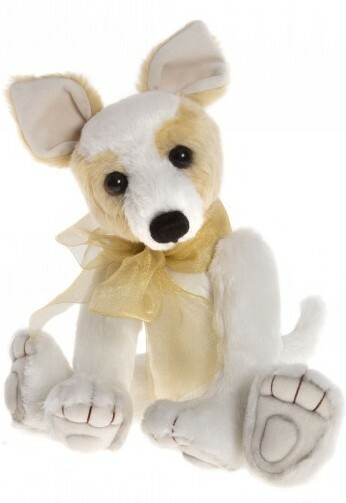 Corfe Bears > Charlie Bears > DUCHESS 11"
Duchess is a very cute and playful Chihuahua puppy, instantly recognisable with her trademark big ears and eyes!! She is made from a short pile plush in white and creams and she has sculpted and stitched paws. She wears a golden organza bow and will always be ready for "walkies" and cuddles! Duchess is from the Charlie Bears 2017 Collection.